Footwork has become one of the most important fundamental skills for ball players and here Magic Johnson lays out a simple training exercise for strengthening that skill. 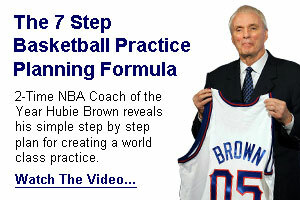 Although this drill is very straightforward it engages the entire body and very efficient. Suggest this exercise to your players!